The Ballislife All-American Game presented by Eastbay, now in its ninth year, is one of the nation’s marquee all-star games. The 2019 Ballislife All-American Game presented by Eastbay will take place on Saturday, May 4, at the Long Beach Convention & Entertainment Center in Long Beach, Calif. Twenty-nine former Ballislife All-Americans have been chosen in the NBA Draft and 18 have been first round choices, including four of the top 12 picks in the 2018 NBA Draft. The Ballislife All-American Game presented by Eastbay was created in 2011 with the goal of bringing a credible national All-American game to the West Coast. It has grown to become one of the three most prestigious senior all-star games nationally. 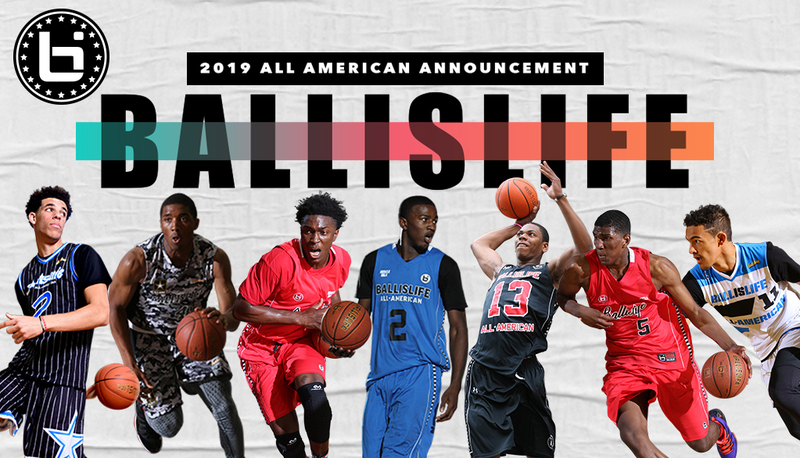 The 2019 edition of the Ballislife All-American Game will take place Saturday, May 4 at the Long Beach Convention & Entertainment Center in Long Beach, Calif. The game time and rosters for the 2019 game will be released at a later date. The game will be streamed online on Facebook Live, Youtube.com, and Twitter.com. A replay broadcast of the game will air on Spectrum SportsNet. In 2018, it was only fitting the largest viewing audience in the history of the event witnessed its first overtime game, as Team Future defeated Team Elite, 146-143. Team Future overcame a 10-point, fourth quarter deficit to force overtime and earn the win in a game that has been viewed online by over 3 million fans. Naz Reid (LSU) of Roselle Catholic (Roselle, N.J.) netted a team-high 23 points for Team Future. Emmitt Williams finished with game-highs of 31 points and 12 rebounds for Team Elite. Williams was one of three LSU recruits to participate in the game. The third player joining the Bayou Bengals in 2018-19, guard Ja’Vonte Smart of Scotlandville Magnet (Baton Rouge, La. ), netted 21 points for Team Elite. Moses Brown (UCLA) of Archbishop Malloy (Queens, N.Y.) set the pace for Team Future, scoring 16 of his 22 points in the second half. Williams and Brown were named 2018 Ballislife All-American Game co-MVPs. Past game MVPs include NBA players Collin Sexton (2017), Lonzo Ball (2016), Thon Maker (2015), Stanley Johnson (2014), Jordan Bell (2013) and MLB pitcher Amir Garrett (2011). The game’s success is reflected in the NBA Draft and 2019 should be no different. There have been 18 BILAAG alumni taken in the first round of the NBA Draft, including four of the top 12 picks in the 2018 NBA Draft. Below is the list of the all the Ballislife All-Americans taken in the NBA Draft through 2018. Note: Six additional game participants have played in the NBA — Cliff Alexander, Isaiah Briscoe, Jabari Brown, Derrick Jones, Jalen Jones, Christian Wood.